If you’re alive, then chances are you’ve craved. Late night cravings are the biggest saboteur I see among my clients. At the end of the day, we are tired, run down, and lusting for that sinfully cold and creamy or obnoxiously loud and crunchy treat. Mid-afternoon snack attacks are also a red-hot danger zone for m any of my clients who end up hitting the vending machine at work or impulsively swinging into Starbucks to make it through the rest of the afternoon and an impossible to-do list. Others suffer from “weekenditis” where they eat and drink to reward themselves for the hard week they just toiled through. Sound familiar? The child that still lives within each of us whines and begs and it’s often just easier to cave in and indulge in that second glass of wine, ice cream, or several handfuls of tortilla chips. “I have no willpower,” my clients lament. But I disagree. Cravings reside at the tricky three-way intersection between biology, desire and insanity and they surface not because we lack willpower, but because we haven’t planned well in advance or because there are very real needs that are not being met. To truly deconstruct your cravings, I urge you to take a mind-body-spirit approach: educate yourself on the causes of your cravings, address any physiological issues (low blood sugar, cortisol dysregulation, lack of sleep, food intolerances), and look at the emotional root of your trigger foods. The biggest source of food cravings I see are improper food choices earlier in the day and a build-up of stress that leads to succumbing to temptations in the evening. Often we deprive and deny ourselves during the day – both with food choices AND with saying ‘Yes’ to too many people, or by taking on too much. If you give and give all day, you are going to want to receive at the end to restore yourself. After all, life is all about that reciprocal dance between giving and receving, right? Cravings for sweets could be the result of low blood sugar or cortisol (stress hormone) dysregulation as there’s a close relationship between the two. Sugar is the quintessential “yin” food, i.e. expansive food that makes us feel lighter, so after a really stressful day, we turn to a sweet cocktail or chocolate to diffuse the stress and anxiety that has been building up. But too much yin, sparks cravings for heavier, contractive “yang” foods such as salt, meat and cheese. That is why you wake up the next morning with a hankering for eggs or steak. Do you see how we create this vicious cycle where we ricochet uncontrollably from sweet processed foods to animal food? Instead of going for refined/processed sweets, experiment with sweet veggies, such as yams, carrots, beets, corn and onions. Roast some slices of sweet potatoes rubbed with coconut oil, Himalayan pink crystal salt and cinnamon for a yummy sweet treat sans any refined sugar that will naturally quell your sugar cravings. I often instruct my clients to keep a small jar of organic coconut oil at their desks and to just take a teaspoon or tablespoon straight up before they feel that 3 pm crash coming on as it will provide instant energy. Coconut oil is nature’s richest source of healthy medium-chain fatty acids (MCFAs), which your body sends directly to your liver to use as energy. Numerous studies have shown that MCFAs promote weight loss and helps improve insulin sensitivity and glucose tolerance. Sometimes we crave sweets when we’re lacking sweetness in our lives. At the end of a long day, we’re often just looking for a hug or someone to hear us out, but instead we seek to anesthetize those emotions with food. So, instead of trying to find comfort at the bottom of Ben and Jerrys Cherry Garcia, can you perhaps talk to a sweet friend, smell a sweet flower or relax with the sweet aroma of an essential oil? What can you do to nourish your life and add sweetness from non-food sources? Eating too many processed foods or foods grown in our mineral-depleted soil can result in a mineral deficiency that sparks cravings for salty foods. Sometimes people who take a lot of medications or supplements can crave salt to balance out what they are already taking in. Cravings for crunchy foods might stem from the desire to crunch out and not hear something (such as your gossipy co-workers or an irate boss). No wonder so many office vending machines have crunchy salty snack foods. Satiate your craving for salt by loading up on sea vegetables like kelp, nori, arame, hijike, and wakame. Simply sprinkle some dulse flakes on your salad or an avocado, and contrary to what you may think it doesn’t taste seaweed-y at all; in fact, you won’t even notice it. You can also add seaweed to your soups and stews or sprinkle it on popcorn (in place of table salt) for a rich salty and mineral flavor. Or try some cultured veggies on top of blue corn chips which offers that crunch in a really nutritious way. You can find cultured veggies already made from Rejuvenative Foods, Farmhouse Kulture or Bubbies at Whole Foods, Sprouts or your local health food store. Alcoholic beverages can help the body digest heavy fatty foods, hence the classic paring of wine with cheese. But often we crave alcohol, just as we do sugar, to make us feel lighter and less stressed out. 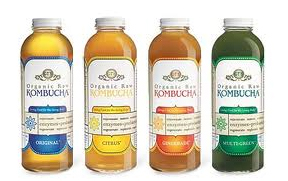 Try Kombucha, which is a fermented tea drink make with only 0.5% alcohol. Kombucha is packed with B-vitamins and immune boosting probiotics. Also, other fermented foods like sauerkraut, kimchi can combat cravings for alcohol and help digestion sans the hangover. Probiotics not only stop cravings for alcohol and sugar, thereyby helping you lose weight but they also serve as anti-depressants by secreting feel-good neurochemicals that make us happy. And a big beauty bonus is that they help with any type of inflammatory skin condition, such as acne, eczema and psoriasis, and make the skin poreless. Most cravings stem from emotional eating, so remember to differentiate between physical versus emotional hunger and be aware of our culture’s obsession with sugar, reward and holidays. Redefine what the word “treat” means to you? Will indulging in that chocolate cheesecake really make you feel wonderful or puffy and depleted? Approach a treat as something that will make you feel wonderful and nourished. Did you know that the #1 root cause of emotional eating is holding on to past grievances? 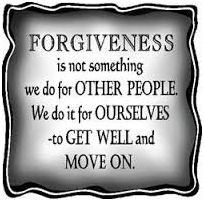 Studies show that “unforgiveness” leads to stress, weight gain and insatiable cravings. You can release your past hurt, anger and resentment without condoning what happened. Letting go is a choice. And this act of letting go will release you from your habitual pattern of emotional eating and binging. Try it…it’s a game changer! Now, I’d like to hear from you. What has been your experience with cravings and emotional eating? Do you have a transformational story or are cravings still ruling your life and you’d like to finally flip that equation so that YOU rule your cravings and not the other way around? I must get across my respect for your kind-heartedness in support of those people who should have help on in this subject matter. Your very own commitment to getting the solution all over appears to be exceedingly beneficial and has in every case enabled associates like me to achieve their goals. The insightful instruction indicates a lot a person like me and further more to my peers. Best wishes; from each one of us. « Are Your Hormones Making You Fat, Tired & Ugly?